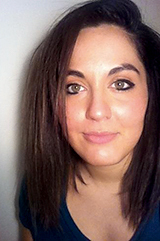 In the UK, former Nebu exec Betty Adamou has launched a new consultancy called Research Through Gaming (R.T.G. ), which converts surveys into computer research games through which to collect 'Playspondent' feedback and boost response rates. Her new company applies what she describes as 'gaming mechanics' or 'gamification' to improve respondents' experiences of taking surveys. Inspired by the belief that the sector should be more creative with the way it asks questions - and by the positive reaction to her recent CASRO paper on the subject - Adamou will provide gamification consultancy as well as working on specific online and off-line research game design and development. The result should be a much-needed facelift for market research, says Adamou: 'There's definitely a benefit of being first in market with R.T.G. as the first provider in MR solely focused on gamification. I'm looking forward to the future of market research, which I hope will have more and more of a creative and innovative edge'..
Before setting up the company, Adamou was UK Account Manager at Nebu, prior to which, she spent a year at Ciao Surveys as an Account Executive, and worked as a qual/quant Project Manager at fieldwork agency Indiefield. Her new firm is online at: www.researchthroughgaming.com .